Pirates De Mayo Game Code Giveaway – Monday! We’re giving away a final set of game codes to some lucky Pirates!! We have 4 codes left to give away Monday evening! Enter for your chance to win a Cool Ranch Gobbler Piñata housing item and 2,500 crowns! We’re giving away limited time game codes from One-Eyed Jack to celebrate this special Cool Ranch Pirates De Mayo festival! ALL of these codes expire at the end of June 2013. You must use the code by then or you’ll lose your chance for a limited edition Piñata. Only one code can be redeemed per account. This means if you win a code here, and another code from one of the other fansites, you’ll only be able to use one of those codes per account. Should you win two codes, but only have one account, you can give the 2nd code away to a family member with their own account, to a friend or forfeit the code and allow it to expire. No substitutions or recompense will be provided by A Pirate’s Portal, or Pirate101. We’ll randomly pick winners from our final entries. Our Monday Contest Day will begin at 6:30 pm eastern Sunday 05/05 – and will close at 6pm Monday 05/06! We’ll choose 4 winners from all entries received! 2 random emails selected from the rest. 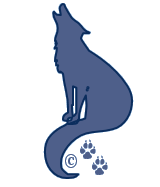 you’re able to receive email back from our email address – APiratesPortal@springwolf.com. We don’t want your winning notice to get lost in your spam folder! We’ll email the winners by 9pm each day. We’ll also post the day’s winner (first name only) with their Pirate’s name, here on the Portal. And if you send us a picture of your pirate with your special gift, we’ll post that on the winner’s announcement page too! ← Congratulations To Sunday’s Pirate de Mayo Winners!